"Hotel Park Palace in Mumbai is a centrally located property offering great service and hospitality to the guests. 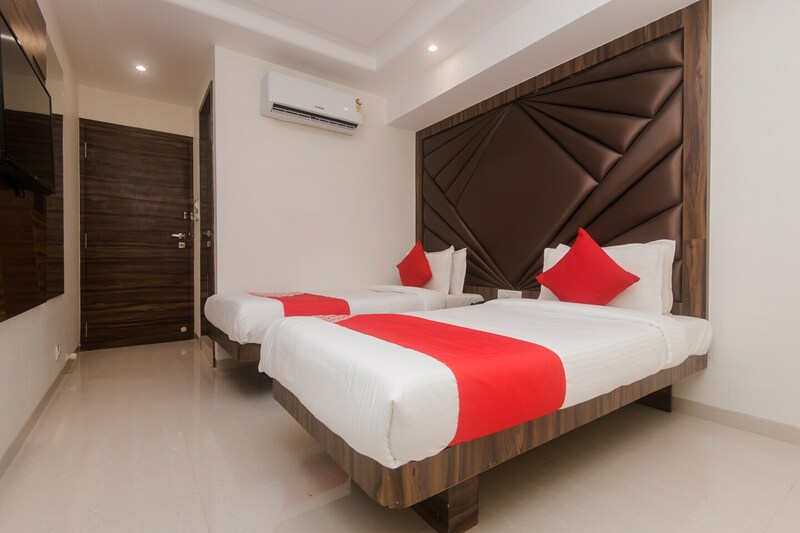 The rooms are modern, bright, well-maintained and fitted with a host of amenities that promise a memorable stay. You can stay connected with the online world via free WiFi. The hotel also provides card payment, laundry and CCTV cameras facilities. Many of Mumbai's famous attractions are located nearby. One of the most popular sights Marine Drive is just a short drive from the hotel where a night view of Queens Necklace makes for the perfect end to your day.